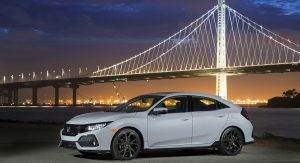 The 2019 Honda Civic Hatchback and Civic Type R follow in the footsteps of the latest Civic Coupe, Sedan and Si models with a few modest updates and pricing revisions. 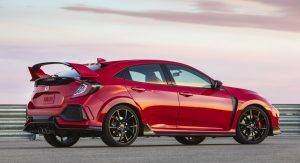 With an MSRP of $36,595, including destination charges, the 2019 Honda Civic Type R is now $1,000 more expensive than the previous MY. 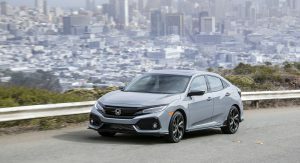 Honda justifies the price hike with the addition of the new Sonic Gray Pearl hue and some interior enhancements, such as the updated Display audio system with physical buttons and volume knob, improved voice recognition and Bluetooth, and others. 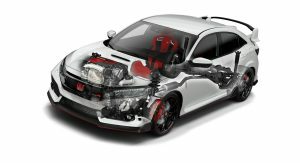 The Type R’s turbocharged 2.0-liter four-cylinder engine continues to make 306 hp (310 PS / 228 kW), and works together with a six-speed manual transmission. 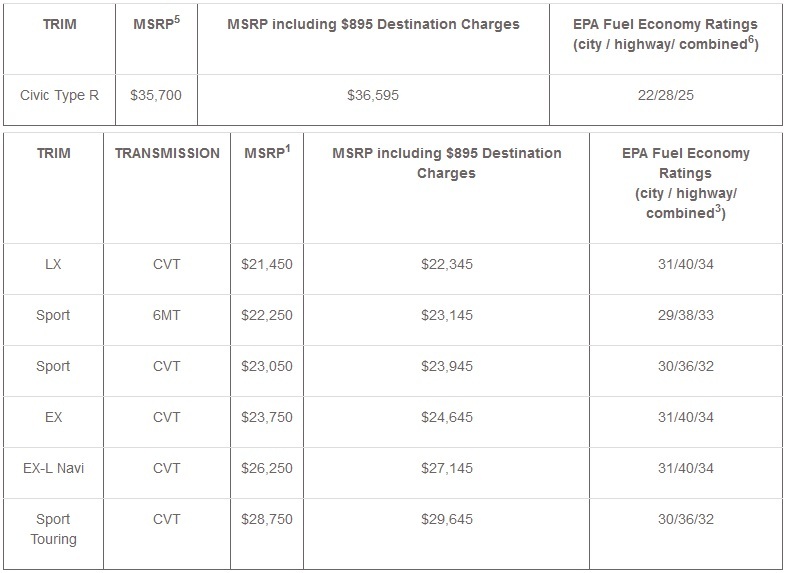 The EPA fuel economy ratings are 22/28/25 mpg US (26.4/33.6/30 mpg UK / 10.7/8.4/9.4 l/100 km) in city/highway/combined. 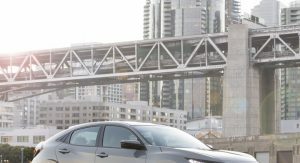 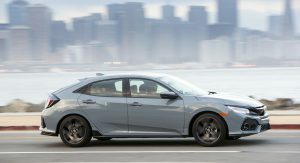 For the 2019MY, Honda is offering the 2019 Civic Hatchback in five trim levels that start with the LX, priced from $22,345, destination charge included. 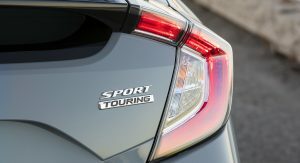 The Sport, EX and EX-L Navi start at $23,145, $24,645 and $27,145, respectively, and the Sport Touring comes from $29,645. 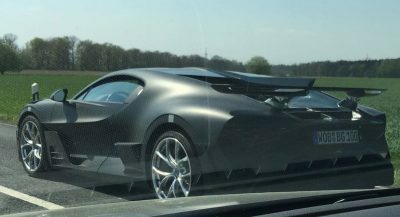 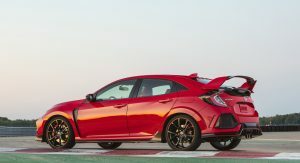 Interior updates mimic the ones of the 2019 Civic Type R and include the updated Display Audio, voice recognition, Bluetooth, USB sub-cord and the integration of Apple CarPlay and Android Auto on EX grades and above. 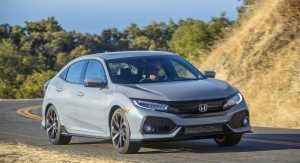 Honda has also upgraded the steering wheel controls, and added an indicator light for the electronic parking brake, physical buttons for the fan speed on versions equipped with the dual-zone climate control, and larger cupholders in the central console. 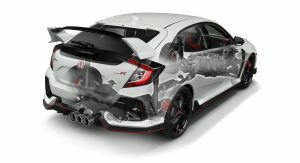 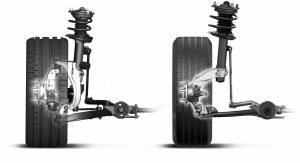 The Honda Sensing bundle of driving assistance technologies comes as standard on all grades and includes Collision Mitigation Braking System, Forward Collision Warning, Lane Keeping Assist, Road Departure Mitigation, Lane Departure Warning and Adaptive Cruise Control with Low-Speed Follow. 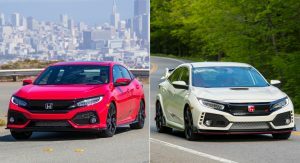 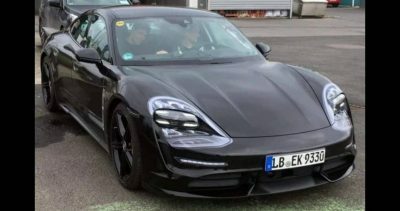 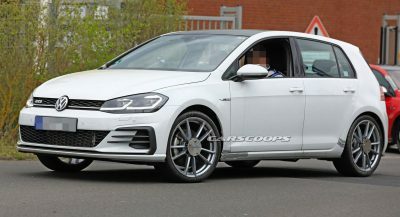 The LX, EX and EX-L Navi are powered by a 174 hp (176 PS / 130 kW) turbocharged 1.5-liter engine, whereas the Sport and Sport Touring gets 180 hp (183 PS / 134 kW). 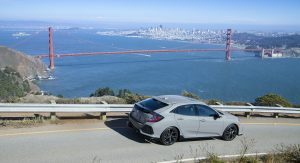 Both the 2019 Honda Civic Hatchback and 2019 Civic Type R will go on sale at dealers across the U.S. on November 3, imported from the company’s Swindon plant, in the UK. 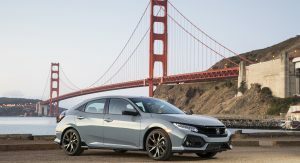 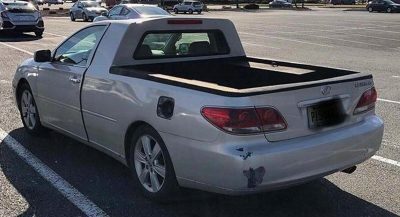 It is amazing that the company that is producing such beautiful designs a the new Accord and Insight hasn’t cleaned up the visual train wreck the Civic has become. 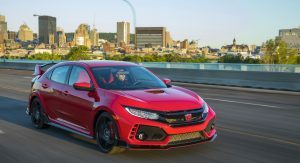 I love the Type R and its looks, sue me.